Two bits before I get into the news. 2) This is a late Thursday info bomb. Usually they drop bad news Friday at 5 pm, so this shows some seriousness from the Register. Now, seriously, I don’t know jack about climate models. I know what I can prove with a model, but I know that most modelers really just want to get a grip on the real-world situation. Having more data is better than having none, and none is where they were. Does this move things forward or backward? No clue, but I’m glad to have them finally recognizing some simple solar and GCR physics. Makes me happy, anyway. Our Director, also known as Evil G – He will be present at Dragon Con 2011 hosting the Evil Geniuses for a Better Tommorrow, whether you like it or not, recruitment drive and Bake Sale. Always fun. I just spend three days at a military conference, those of you I met there know of what I speak, those who ain’t “in the know” well… we probably shouldn’t say too much anyway. I learned a ton, I hope I found a couple job opportunities, and I hope some of my new friends and acquaintances have made their way here. 2) Not going to Dragon Con, but if you are, send me some pictures of costumes, ideas from your panels, or what not. Doesn’t hurt to get some excitement going before the big event. Here is what Titan looks like,(photo below) not terribly exciting. Until this week, when a giant white cloud appeared. (next one down.) How odd is that? They say that there is some math that shows this is a property of a reflected wave. Umm… sure. Maybe. VERY weird. 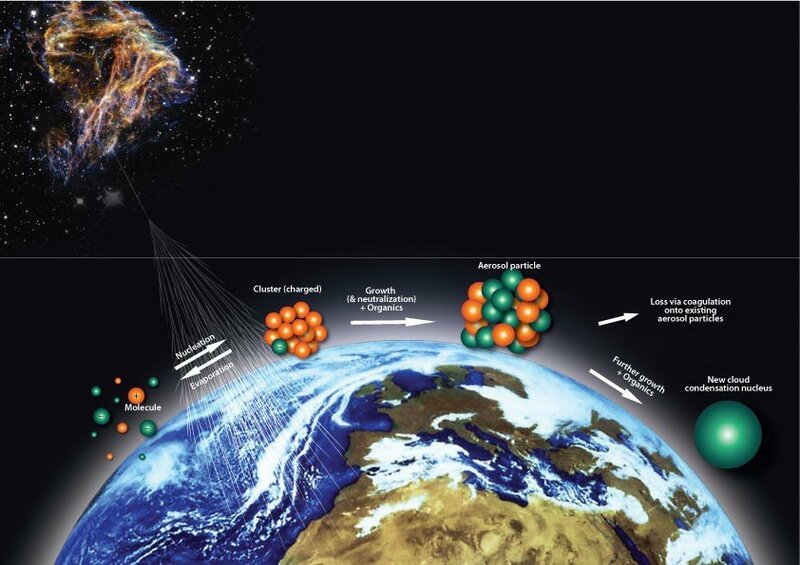 Also: More news of the “Higgs Boson.” The energies and the test really don’t reveal much, but the attitudes of the scientists and their description of the “particle” tells me that they have finally moved away from the Higgs Boson. The original “aether” field had been neglected since Higgs proposed it, and physicists preferred to discus the particle which caused the field. This Boson somehow goes about generating mass through interactions between its field and other particles. Quick argument: These things – Gauge Bosons – Photon, Gluon, Weak Force W + Z, Graviton, Higgs – don’t actually exist. They describe resonances found in experiments, relating to how much energy is stored in certain building block interactions. As “heat of fusion” tells you how much chemical energy is required when say you melt something, ionization energy tells you how much energy is required to knock the electrons off of something, Fission/fusion energy tells you how much energy is actually stored in nuclear elements, so these boson describe the bonds interacting with quarks and leptons. In this fashion, we hope to determine how energy is stored to make mass. Calling it a particle, even a Boson, is just leading to confusion. It is more a direction than an object. More easily understood as a bond energy between Quarks than as a direction in 9-space…but yeah, the deepest understanding of the “boson” will be in dimensional depth. Somehow there is a direction in which you can pour 1 quart (*heh*) of energy linearly arranged in 1 dimension. Or a TeV quark or something like that. Of course, examined in 3-space we can only see the products of … tipping it out and looking at it on the floor. Kind of a messy approach, but that is collider physics. Still, progress is being made. String Theory may not be good yet, but the ideas from String Theory are slowly eating away at the Standard Model. It should look radically different in my lifetime. Ok, Books review. There are several authors and books I have been trying out lately. Here is a short list of the ones of interest. Sadly enough, this doesn’t even cover July, I go through most of a dozen books a month. I’ve included book covers or book art with each one. I hope my ratings are usefull, feel free to comment on any of this. Oh, I read them all on the nook, so if you are still in paper, I’m not sure what you find in the store. Yes, it is as good as the movie. go ahead and read it. The author asides are actually very interesting as well. I was as fascinated with his life and the making of the movie as i was in the book, which essentially is the same as the movie. Look, this really is good writing, but it can be a bit tedious. You really don’t LIKE a lot of the characters. Some characters you really despise are good guys, some you like are villains. Some you hate are villains as well, which is good. Some are mysterious for no damn good reason, and some just cuss a lot. A LOT. Extremely British. The plot does make sense in the end, though not while reading it. Look, I’m considered a genius at twisted plots. This book contains several twisted plot elements that will take some thinking. I like that a lot. Amazing as always. 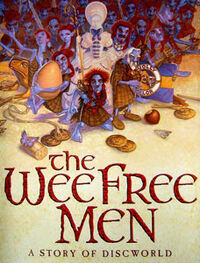 4th in the Wee Free Men Trilogy. I love the Nac Mac Feegle. I love the witches. etc. etc. 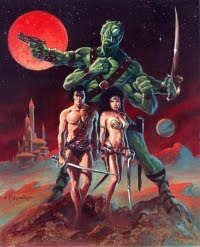 Look, John Carter of Mars is a cliche’ these days…but it was original once. When I read it 30 years ago, they were cool and interesting. Heck, still probably cliche’ then, but I didn’t know what that meant. This is the core of the science fiction action adventure novel. If you haven’t read them, you should. This is a damn good book. It never really exploded off the page, but it never stopped being “real.” This isn’t the future, it happened today, yesterday. The book is more a social deconstruction than anything else, a social science paper run amok. Loved it. I still recommend everything written by Iain M. Banks, including this book. However, this is probably the “least good” of his Culture novels. It has its high-points, but I could argue about something in every chapter. He just didn’t give this one the thought he gave previous novels. Paolo previously gave us a Steampunk novel, this isn’t one of those. His love of period pieces is clear in the development of 1970’s Thailand, in the future. As long as you understand that a lot of the “future history” constructed is to get you back to Pre-industrial Thai, well, it gets you there. 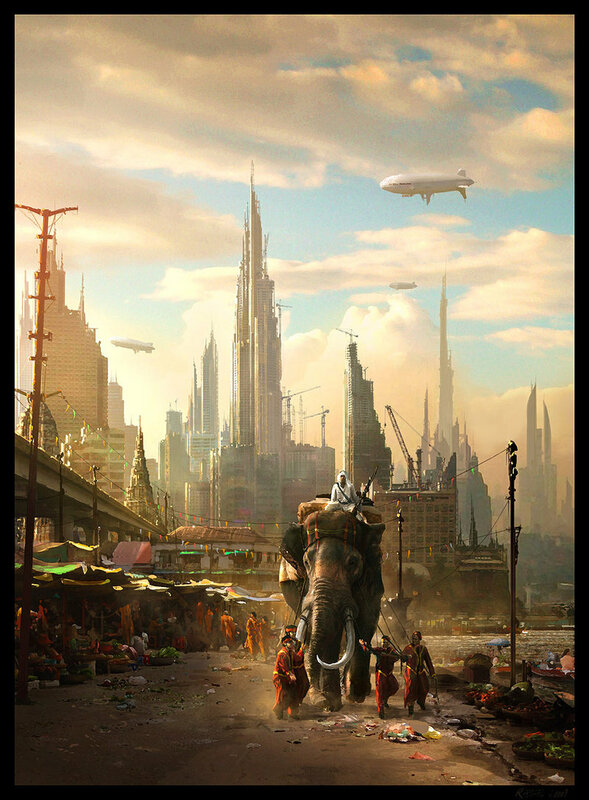 The science fiction takes a point in our future not terribly far from today, and posits some interesting possibles. Absolutely solid science fiction. Very much worth reading, I recommend it solidly. Ok, I’m back at work. I’ll try to get back to blogging this week. Very busy week and a lot of interesting science accomplished. I have got to find the photographs from Las Vegas and I’ll see if I can get Megan to shoot me her photos from the lab. Sorry everyone, I apologize for the 2 week break, but Summer is a rough time in this business. I just got back from Vegas and I have to run to Auburn. I am between conferences and tests and reports due all month. I hope to get back on-line in Auburn and write something down. I hope that one of my co-bloggers has some time to spend out here. I’m … full up… pretty much every day. Thank you for your continued support. I’ll get some pictures up here Monday which may include: Beggar’s Rebellion, Testing at Auburn, or Zombies from Zen. I have no idea, but hopefully I’ll find something worth posting. Or science, it could happen. Haven’t seen a lot of it lately, but I’m sure its out there.